As Apple recently acknowledged, iPhone users switching to Android or any other platform are running into a bug that sees messages continue to be sent using iOS’s proprietary iMessage protocol. As a consequence, messages are noted as “delivered” on iOS, but since only Apple’s own devices can read iMessages, never received. Given that the Cupertino company has already fixed what was possible on the server side of things, and now has promised a remedial iOS update, possibly in the form of iOS 7.1.2, to fix the issue completely, we shouldn’t have to wait too long for a full official fix, but in case you don’t want to potentially miss any important messages between now and then, we’ve put together a little guide detailing how you can restore immediate normality without waiting for Apple to patch it via software update. As has been noted by many encountering the issue, disabling iMessage before ditching your iPhone is the best way to avoid having your future incoming messages being squirrelled away in cyberspace. But even though this should be as simple as firing up the Settings app and toggling iMessage off, it turns out there’s a bit more to it than that. If you know you’re going to be switching from iOS to another handset, you’ll want to begin taking action at the very earliest point. Apparently, Apple’s servers can take up to 45 days to fully clear phone number and iMessage data, and with this in mind, it’s important to disassociate your number from iMessage as quickly as possible. Step 1: Fire up the Settings app on your iOS device. Step 2: Once you’re in Settings, run through to Messages. 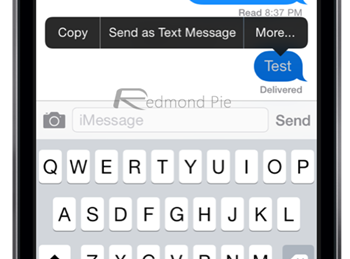 Step 3: Finally, toggle iMessage off (so the slider is no longer green). – Remove your phone number from iCloud on your MacBook (if you happen to own one) by navigating through System Preferences > iCloud. Sign in and check that your number isn’t hidden anywhere, particularly in Account Details. – Call up 1-800-MY-APPLE, and request Apple remove your number from iMessage servers. – You can also have your iOS-using contacts add and remove your phone number from their phonebooks. This is a little tedious, I grant you, but if you stick to close friends and important colleagues, this isn’t too bad a short-term solution; just so long as they remember to do it. Similarly, you you can also ask that they “Send as Text Message” when communicating with you via the iOS Messages app. – Given the server refresh period, it makes sense to wait 45 days after removing all trace of your number before jumping ship. This isn’t always possible, of course, but once you’ve hit that 45-day threshold, you should be able to proceed without issue. – Reset your Apple ID password, and then text STOP to 48369 on your new Android / Windows Phone / whatever device. 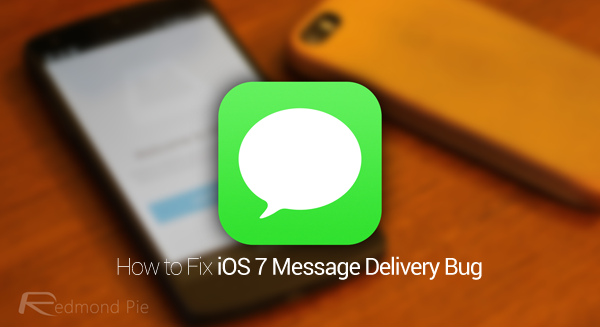 And there you have it – those are your steps to getting past the iMessage bug that has plagued so many. You may also wait for the software update as Apple mentioned earlier this week, but if you’re not in the business of missing potentially crucial correspondence, please do try out some of the tips above.